1 Comments Published by The Uganda '07 team on Tuesday, July 3, 2007 at 2:35 AM. Well, it's been quite awhile since the last update. \some major apologies go out for that, but it was somewhat unavoidable. Between computer virii, Ugandan internet availability (determined by the availability of a cell-phone signal), and just finding the actual time to do this - the three just did not combine to allow a post. Let's get this out of the way quick then - we're back in Heathrow! We survived the Masai Mara, but just barely. Food was barely adequate and lodging was scoffed at as most of us huddled outdoors taking turns swatting tse-tse flies from sleeping companions backs. And other than the tiger attack that left us one team member down, everything was ok. Ahh, but of course none of this is true. The safari was spectacular and the lodging was fantastic and really let the team wind down and relax a bit as we prepare for the huge smack-in-the-face that will be the adjustment back to Canadian culture. Debrief sessions were heartfelt and there was no shortage of tears as we all relived memories and encouraged one another in the changes seen by God's work through this trip. While its true we made a lot of change for the people of Mpigi, we are coming back different people. Adjustment will be difficult. Even the simplicity of typing this post with confidence is something to get used to again. But that's a small matter. 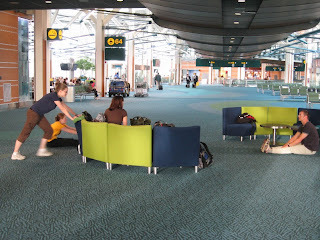 For the loved ones - we will be catching our flight back at 13:10 London time and arriving back in Vancouver at 2:35PM. If you are wondering where to meet us, we'll be coming out of International sometime after that. It will be great to see you all again! Running out of time here. Again, we are so sorry we could not keep you updated/entertained with stories of our trip as it happened, but we'll do our best to fill in the gaps in the coming days. The team's pictures will be getting uploaded to Flickr within the next week, so look for that, and I'll be posting in updates for the week that we missed through the coming week as well, just so you know where we've been and perhaps why some of us are gawking at seemingly regular daily activity. Above all, thanks for your continued prayer during this time. It is so appreciated and obvious that we've had someone on our side from back home. Thanks. 40 seconds left on the clock here, better click submit! 1 Comments Published by The Uganda '07 team on Tuesday, June 26, 2007 at 10:55 PM. Sorry for the lack of updates recently - this computer has managed to become infected with a computer virus! Unfortunately, internet connection speed is just as big an enemy when combatting this threat as the necessary tools can not be downloaded. We'll update when we can. 2 Comments Published by The Uganda '07 team on Saturday, June 23, 2007 at 10:02 AM. Hey everyone! Well, I'm sure that some of you received emails from your loved ones as we headed into Kampala yesterday and were able to check email and otherwise enjo the benefits of electricity and city life. If you did not receive an email - don't sweat it. There were only so many chairs, and the internet was still running through a modem made of cold molasses. Kampala was truly an eye opener for us. One hour away and there is actually a city. Unfortunately, no pictures at the moment as no one knows Im doing an update, but it was quite the experience! Boda's (little 50cc scooters that look like bicycles) zipped around everywhere, taking the sidewalk when traffic was bad and clipping pedestrians along the way. Pretty much every car on the road and truck seem to run on diesel, and there is no such thing as aircare. Descend a hill in the city and you literally can barely make out the bottom due to the smog! Hmm, but smog implies pollution that has built over time. While that is true here, the smog I talk about now is fresh diesel fumes pouring jet black from each tailpipe in the city. To contrast this you will every now and again see a diplomat in his/her brand new Mercedes that runs on Petrol. While these are relatively clean, the only other petrol-based vehicles are the Bodas, which are ill-repaired two-stroke engines, so just as bad as the diesels. Telephone poles are in the middle of intersections. Intersections themselves do not have a right of way, except for the rule that if you're bigger, you win. We drove through the slums which are descended into the pits of the city, and a few minutes later crested the hills of the diplomats and ebassies. You can't create a larger contrast. Along the way we decided to make a stop into the city's riches hotel. It was like a little slice of Hawaii in the centre of the city, with bright blue pools to swim in, faux-red rock 'cliffs', marble walkways outside of the building. A few of us nearly cried on the tour - take a look around and they have carefully surrounded the hotel with large banks and wealthy industry. Behind these buildings lie the rest of Kampala. And that's where the contrast comes in. We made our first stop, as I said, in the mall where the internet was available. Some bought books, some bought food (or, "food", as this was mainly Pringles chips), and most snacked on Ugandan pizza. Shortly after the Ugandan pizza is when this poster's stomach started doing flip-flops, but thankfully everyone else was just fine with the food. I have a rather sensitive stomach anyway! From there we stopped at the craft fair, where some of us were able to try on our Bartering-hats and experience 300% markup. Some great deals were had like..... ahh, but you'll have to wait and see. 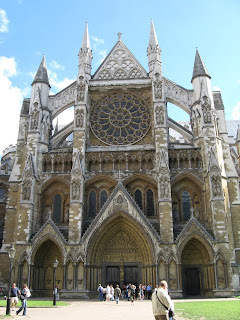 The tour followed, again followed by a meal at a large Anglican centre and group home intended as a hotel of sorts. French fries were consumed, pop was chugged, and the taste of home was great. An hour of driving through diesel smoke and enjoying traffic jams later, we arrived home. Today was our day to play with the children. 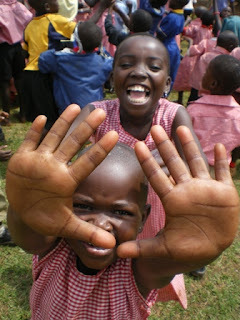 The kids light up at the amount of attention that they receive from us and it really is our honour to show it to them. 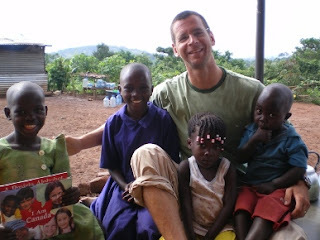 This is me than playing with orphans - this is changing lives! Further updates to come. We are heading to our second and final service of African Church. Most of us have been initiated in the whole 'move your body to music' concept of dancing. While initially reserved, I now wonder how church can be any other way. Praise God with everything you have and the smile never leaves your face! As I finish, a special note that Shawn Smith was able to join us today and has arrived safely at the site. Some people are outside enjoying a campfire right now of hardwood that burns for hours and rarely smokes. 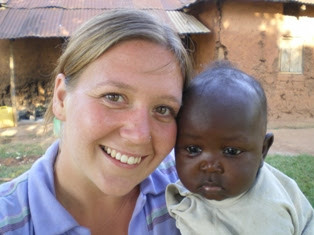 We also look forward to Wendy being able to join us tomorrow an assist with the medical clinic. Speaking of which, today was the first day of the clinic - please pray for the kids thatour arrival and the onset of pokings with needles is not seen as punishment. 6 Comments Published by The Uganda '07 team on Thursday, June 21, 2007 at 8:22 AM. We are completely experiencing God’s goodness and grace down here on this trip. If you’re reading this at home, take a look at your desk. Count the number of pens, the sheets of paper, marvel at the cushion beneath your rear and the cool air forced around you… feel the carpet underneath your feet, examine the straight lines of paint on the walls, listen as hard as you can for the call of a live animal in your house (that could otherwise be dinner)… and take it all away. What is the minimum you could exist with? Now take this new image, put another 6 people in the room with you, turn off the AC – and you’re with us. 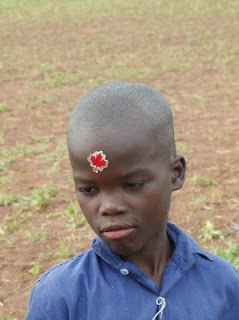 Us being everyone here in Africa. The key difference that you will likely not be able to imagine is that, despite my rather saddening written imaginary world I tried to create up above, in it reside people of joy and a place where God thrives and loves to show his benevolence. Its quite unbelievable. I’d take you farther down that road, but sloppy lasagna beckons, and we have business to attend to in this post! Here’s what’s up. 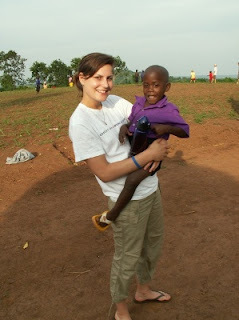 We’ve put in our first week in Uganda, and as of the first bite of slop, will be done the work projects for the week. Thanks to everyone back home for your support during this incredibly challenging period of time. We are truly blessed to have been able to experience this, but even moreso we have been able to bless the lives of others, and the method and means of doing this is truly life changing on both ends. Tonight we will be visited by an English headmaster from Mpigi named Peter. He’ll be taking to us on how his God encounter changed his life, and sharing his story. We’re all excited, and it’ll be nice to have a guest. Also please pray especially for Sara on her flight home to Canada. As you all know, she has broken her ankle and will need to be flown home to have it taken care of properly. No that the break is especially bad, but the care we can give her is only so effective and can not cover her pain. Please pray for her as she will be flying economy class all the way to London, where she will transfer to business class for the last 8 hour leg into Vancouver. 1 Comments Published by The Uganda '07 team on Wednesday, June 20, 2007 at 1:02 AM. It’s 11.40pm. We’ve all settled down in our tents—a little village erected in the church—ready for sleep. The only sounds I can hear are the faint rumblings of the generator in harmony with the hum of grasshoppers (who are, by the way, the size of Volkswagen vans). Headlamps go off, sleeping bags zip and rustle, and breathing slows to a comfortable rhythm. Suddenly, I hear the high-pitched wail of a small child. I’m up and out of my sleeping bag in a flash and fumble with the zipper of the tent before pushing through the doors of the church and breaking free to the outside. Mosquitoes are the last thing on my mind as I run in the direction of the fearful cries. Up the hill past the guest house I go, muscles alert with adrenaline. I see something flash past me, but with the few lights still shining, I can only tell that it is something big, something fast. As it courses under a lamppost, I see that it is a tiger that has captured one of the wee ones from the orphanage, and he’s moving fast! I run as fast as I can back down the hill and come upon a stray boda-boda. I hop on and start the engine, then zip after the creature and its captive child. The tiger senses that he is being followed and leads me on a wild chase down through the quarry and into a clearing surrounded by African bushes. I hop off the boda and as we circle each other, the child slips off and runs to safety as I yell at him in Lugandan to head up the hill. It’s just me and the tiger now and I look desperately for some sort of defensive weapon. I spot a jackfruit tree near the edge of the clearing and slowly back up to where it stands rooted. I carefully reach behind and pluck a fruit, maintaining eye contact with the beast as he moves closer. I glance and see that there is a steep hill beyond the tree and that I can’t move backwards anymore. The tiger lunges forward and I heave the jackfruit with all my might, hitting him square between the eyes. He collapses unconscious, but I’m teetering and can’t regain my balance. Backwards I fall, tumbling down the hill, through the bushes and bumps, finally landing somewhere near the bottom. And that, friends, is how I broke my leg. Just kidding. I fell down a hill yesterday just before dinner, and that’s how it all went down. (By which I mean it was me. Who went down, that is.) 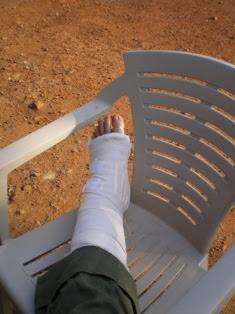 Rebekah put it in a splint and Michael drove up to lend Jeff the Masembe van. We took a trip into Kampala (about 1.5 hours away) and visited two international hospitals for x-rays and casting. Cost of an x-ray, in cash: about 8 bucks Canadian. It’s broken in one, possibly two places, but it’s not compound, and it should be fine and dandy in 6-8 weeks. I’m thanking God that I didn’t have to evacuate to Canada for surgery. I’ve been designated as the blogger today, since I can’t do much else, so I’ve been sitting here creating fanciful and heroic stories (see above). The team is doing really well. Other than the leg-breaking fiasco, everyone else is in decent health and high spirits. Yesterday was our second rotation of projects in the area (hanging out at the orphanage, care and compassion, kiddie care, and work around the 10 acres). Almost everything takes longer in Uganda. Painting a house, washing clothes, cooking dinner. It’s humbling to wear those shoes, even if it’s just for a few weeks. We’ve met people who are experiencing a great deal of pain in their lives, and yet, their resilience is inspiring. I probably shouldn’t speak for the whole team, but I’ll bet I can, when I say that every day we are learning so much from these beautiful people. The kids’ smiles, the warm hearts… it’s been amazing. Sean’s been doing a great job updating, so I’ll just add a few pictures for now. 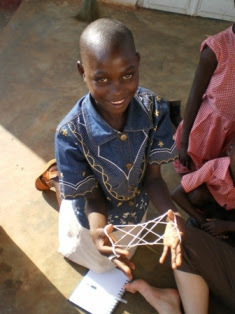 One of the kids teaching Linda some new tricks for Cat’s Cradle out on the porch of the church. This is Liz. 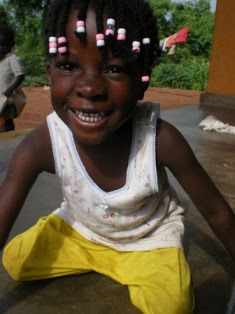 She loves posing for pictures and lives at first children’s home. Down at Kiddie Care during bubble-blowing madness. This woman is caring for her 20 grandchildren. I can’t think of any other word to describe her other than “hero”. Shannon with Gift, Harriet’s little boy. Proof of my lion encounter. To Michelle, Samuel, Lucas + Mirah. Missing you lots! I am having an amazing time here. I can’t wait to see you all and tell you all the stories. Love Cameron (Papa). PS. Will try to send an email with it’s possible. Keep praying! 4 Comments Published by The Uganda '07 team on Monday, June 18, 2007 at 11:39 AM. Forgive the lengthy and incredibly unwitty post. Wow, we're tired. Don't have much time to read up? Highlights from the day: Live chicken brought back to camp as a gift from Care and Compassion project... still alive (for now); African Wasp attacks Sean Davis and leaves stinky welt; painting project results in 3 blue team-members ie. human sponges; Subteam prepares to lead 80 children in VBS - shows to find 200; a great team debrief of the day had by all. Today was the first day of each team’s project work. If you’ve checked the schedule you can see that we, as a larger team, are divided into five smaller sub-teams with each team being assigned to a different area of work for the day. Here’s how we’re doing so far. One team led the children in a VBS and were surprised to arrive to all children lined up out front with a huge song and dance routine prepared as a welcome. If that wasn’t a big enough surprise, imagine how they felt when, having prepared to lead 80 – 100 kids on a VBS, they arrive to a mob of 200 children dancing and singing and screaming. Emotions ran high and the day went well, but sleep will come easily tonight! 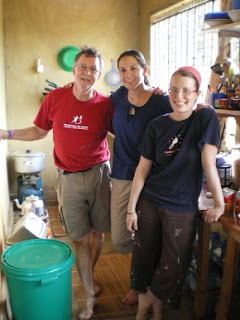 The team in charge of giving the house-mom’s a break today was able to go down and see Michael Masembe’s house. They were able to walk the children home from VBS to the ten-acre site – 3 people with 2 arms each = 6 possibly held children at one time. 200 – 6 = 194 children clawing their way into the arms of our teammates for the entire (uphill) walk home. More good sleep to be had tonight. Other projects included the ‘Care and Compassion’ and the work project. 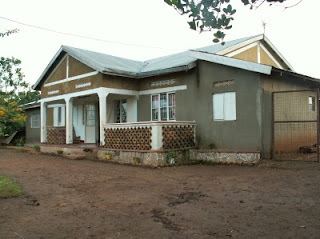 Work projects thus far will consist of repainting the children’s houses on the inside to bring some colour. Two painters have been hired from the local community to help us with this project, and being professional painters they can definitely get the job done quickly, but at what price  Taping and drop sheets do not exist, instead replaced by the team hurriedly cleaning as much spilled paint as possible. Care and compassion involves the subteam going out into the community and meeting with local residents who are in need of help. This was definitely a challenge – the first home attended had an older man who could hardly walk, and was living with his two daughters since his other sons had passed away. The only son living with them was thought to have been possessed by a demon at an early age, and the team had an opportunity to pray over this man and his father and their family. Other houses were similar circumstances, defining ‘nothing’ to a new extent otherwise unimaginable if not seen. But the thankfulness and kindness and hospitality of the people of Uganda, even in the worst situations, is the most incredible thing ever and is hard to explain. Also see the pictures below. 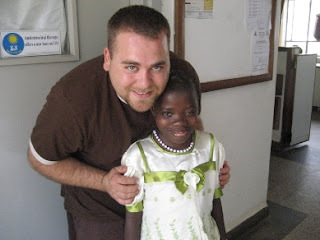 First picture – Harriet, who has been diagnosed with late stages of HIV and is currently in hospital. Upon our visit we were thankful to find that she was recovering and doing better than in the past. 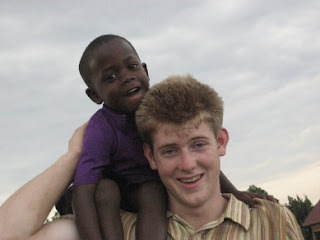 Second picture – Brent White having a blast with little Wasswa. 5 Comments Published by The Uganda '07 team on Saturday, June 16, 2007 at 9:10 PM. So we’ve made it into Uganda and I am now typing this from Jeff and Shannon Dyck’s house on the ten acre site for Peace Portal Community church! Our trip has been fantastic and I can not even begin to portray the full idea of what has happened since the last update, but we’ll do our best. 8 hours and 50 movie choices later we arrived in Heathrow Airport and promptly grabbed our passports and headed down to the Tube, destination: Pickadilly Square. 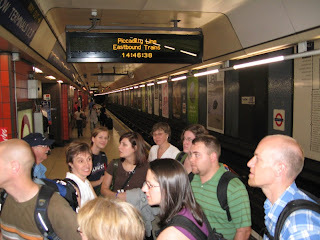 The tube ride itself was quite humid and hot, but we were all excited enough for that not to matter. Even with the hour long ride. Fearless leader Jon took us on a whirlwind tour of England’s sites with us walking the entire way after the Tube. We saw Buckingham Palace, Big Ben, the Thames river, a bunch of really old churches and sculpture, MI6 headquarters, and likely more. Pat Kenyon seemed to enjoy the tour the most as we seemed to manage to leave him behind at a few crosswalks, but otherwise stuck together and made it back in time for our connecting flight. 8 hours and 50 very similar movie choices later (which almost sounds like a complaint, but really, how can you complain when you have 50 movie choices?!?) we began our descent through the clouds over the Nile river and into Uganda. Making a descent in most normal flights, including coming into London, is somewhat normal. When breaking through the clouds on the way into Africa, the cabin becomes shocklingly quiet, save for the subtle clicks and pops from the craning of everyone’s necks to see out the windows and get a glimpse of the red earth of Africa. As this flight had been a red-eye departing at 9pm, we had not had a chance to see the ground until coming through the clouds. A very surreal experience, especially after flying for 16 hours, traveling for 24 hours, and some of us not having had more than 3 hours sleep! Arrival in Uganda and deboarding the plane was great as well. The humidity hits you as soon as you step out, and familiar sights that you expect to see are just not there and instead replaced with things seemingly from another world. Seagulls are now cranes. Stray cats are now cows or goats. People drive on the left side of the road. I should say, “drive” on the left side of the road. 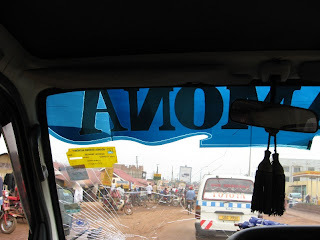 The Ugandan road-travel is something that can only be experienced, and if you’re uncomfortable whizzing in and out of traffic and purposely missing vehicles by 6”, you may be alarmed. Maybe. 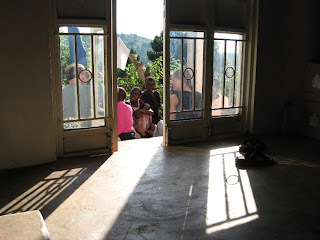 We arrived on the site after a ride through downtown Kampala and Entebbe to the most warming welcome Im sure any of us have ever experienced in our lives, unless they had already been to Uganda before. All of the children from the orphanage and children’s houses lined the road and as we pulled in, clapped out a beat you could dance to and sang a welcome song. We were privileged enough to be able to walk along each side and greet each child and ask their name, shaking hands and exchanging smiles. Any one of these children could melt the toughest person’s heart, showing the most genuine smiles and unreserved affection. And this is something that does not stop. The Ugandan people are truly wonderful, and its very obvious from the time that we arrived that Peace Portal Community church in Uganda is making a difference in these children’s lives. The day went on. We met everyone imaginable, saw the market, tried to find monkeys in the jungle down the road, and came back to the site to play with the kids. They absolutely blessed us by allowing us to do that. As if a day couldn’t have any more packed in it – following dinner and an extra helping gone uneaten, the women of Peace Portal Community put on the most fantastic welcome entertainment imaginable. Traditional dancing, a trumpet solo, original Ugandan praise and worship all pounding through a speaker system and echoing through the valley that saw people walking in from the road or riding up on their scooters (boda-bodas) to check out the commotion. We shook the ground until the sunset, and then departed with a promise to reunite tomorrow morning for church. God is truly at work here and we look forward to being able to help in any way we can! White Rock to Uganda '07 - It Begins! 0 Comments Published by The Uganda '07 team on Thursday, June 14, 2007 at 1:05 AM. This June a group of 22 people from Peace Portal Alliance Church will be travelling to Uganda, Africa for a three-week relief and development based trip. Over the past four years we have seen significant development on our ten acre site: A bore-hole was drilled that provides fresh water for the area and irrigation for agricultural projects; two orphanages have been built and are now home to some of the most needy kids in the area; a piggery that provides sustainable income for widows has been established; a medical centre that will provide free medicine and education is now complete and about to be launched; a pre-school that offers free schooling to over 100 children is going strong. All of this and more is the result of a partnership between Peace Portal Alliance church in Canada and Peace Portal Community church in Mpigi. 1. Assisting in the construction of a third and final orphanage that allows us to provide shelter, food, nurture, health, and school fees to 20 more children in Mpigi. 2. 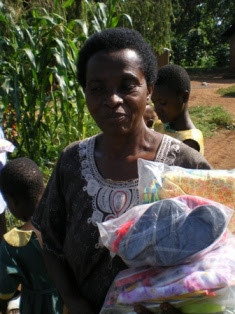 A community visitation program that is designed to assist families with tools and supplies needed to create a sustainable lifestyle and income. For many people, the opportunity to move out of extreme poverty is as simple as being given some basic tools. We will be helping people help themselves rather than creating dependence. 3. 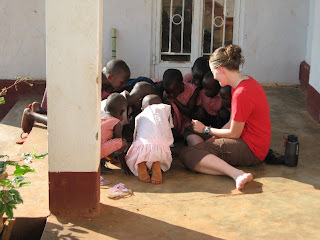 Volunteering in the daily running of the orphanage and pre-school. This will allow the house parents and teachers the time to focus some time on important issues rather than simply the 'urgent' things that make up the day-to-day running of these programs. 4. Hosting a medical clinic that will seek to provide both immediate relief and long-term health for the local residents including an eye clinic to distribute glasses to those who have impaired sight. 0 Comments Published by The Uganda '07 team on Tuesday, June 12, 2007 at 2:55 PM. We'll be uploading photos from time to time to the blog in our attempts to keep everyone back home up to date. Aside from the photos in the blog however are pictures on our Flickr account. You can view these photos at any time - just click the tab at the top of the page. Alternatively, as we upload photos into our account they'll automatically filter into the slideshow below. Just click the 'Slideshow' link to the right of the page (in the post history) to come back to this post and check all of the photos in a slideshow format! Keep an eye on this in the future after our return! For now, here's just a little something to whet your appetite from the 2006 photos Scott has shared. 0 Comments Published by The Uganda '07 team on Monday, June 11, 2007 at 8:22 PM. 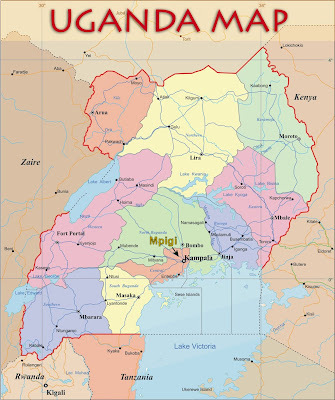 For a really detailed look at the bare-bones, zero-personality facts of Uganda, click here. We hope to be able to shed our own light on this as we experience daily life from the Ugandan perspective... we promise it will be more interesting than that link. At least we hope so. 0 Comments Published by The Uganda '07 team on at 8:07 PM. Hello everyone! Consider this the official launch of Peace Portal Alliance Church's 2007 Uganda Missions Team's website (boy, that's a mouthful.) While there will hopefully be a lot of useful information to come in the near future, including updates on what we're doing, how God is working, and the latest monster-insect encounters, for now we'll start things off slow and give an idea of what can be expected in terms of our schedule and how we'll be spending our day! Hold your hand out and tick a finger down - there's only four days until we leave! 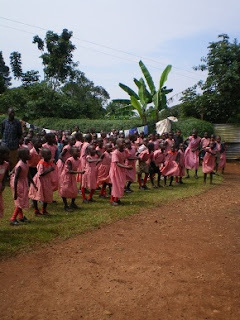 © 2006 PPAC - From White Rock to Uganda | Blogger Templates by GeckoandFly.